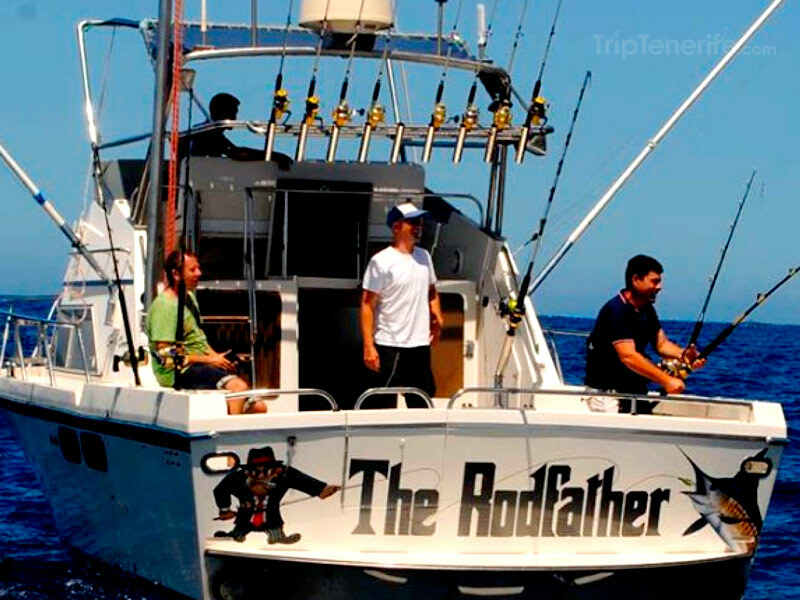 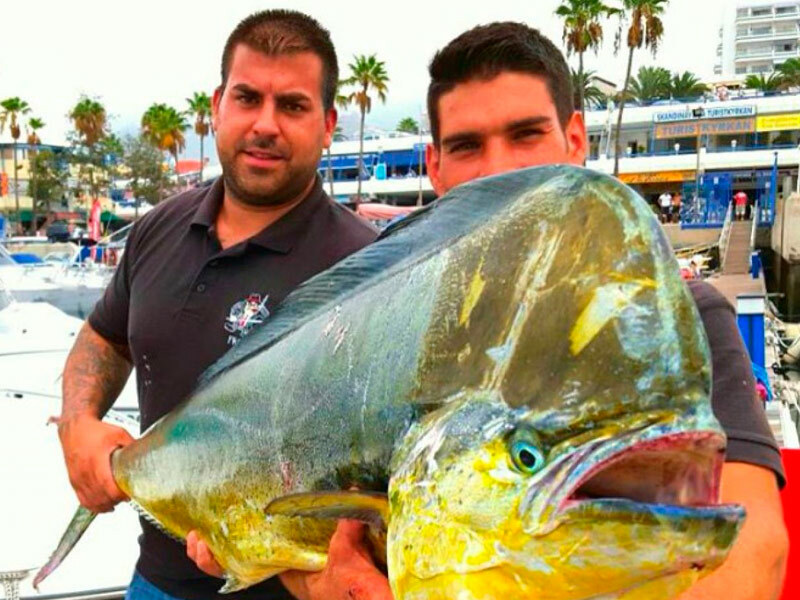 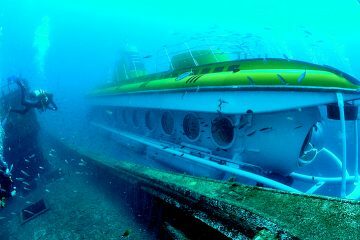 The Rodfather offers a wonderful sea fishing experience in Puerto Colón, the most visited place in Southern Tenerife. 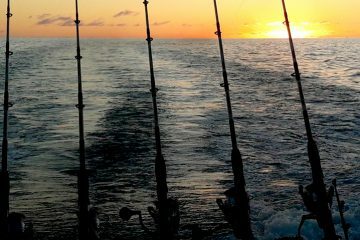 During this morning trip, you will get a complete overview of sea fishing, whether you are a complete novice or a very experienced fisherman. 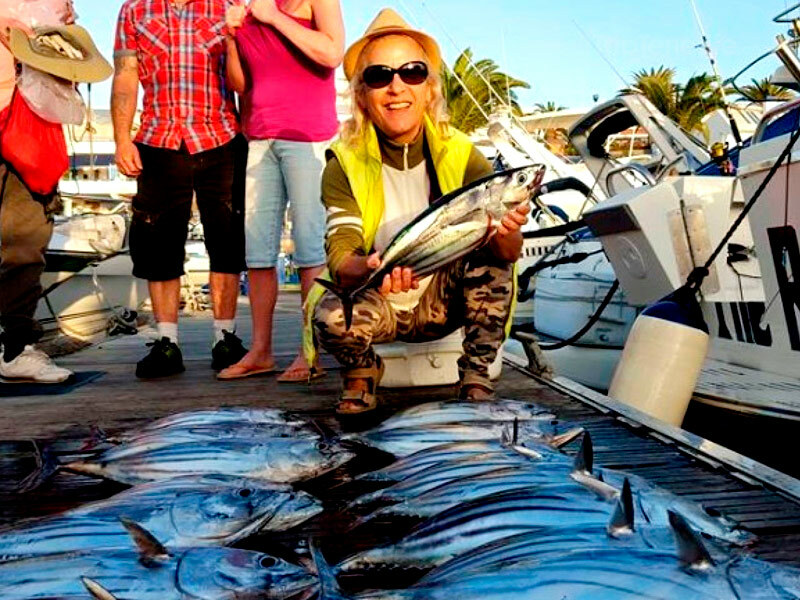 According to your experience level, you will be assigned a specific day and group; from there, you just have to come and enjoy a whole morning of fishing off the coast of Southern Tenerife. 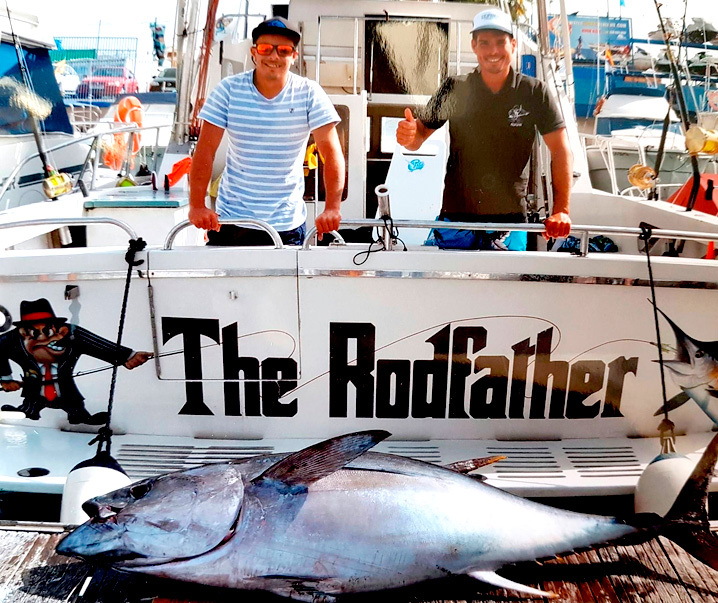 The Rodfather is particularly remarkable for its deep knowledge about the maritime areas nearby and its capacity to get real-time information regarding the quantity and variety of fishes you would be able to catch. 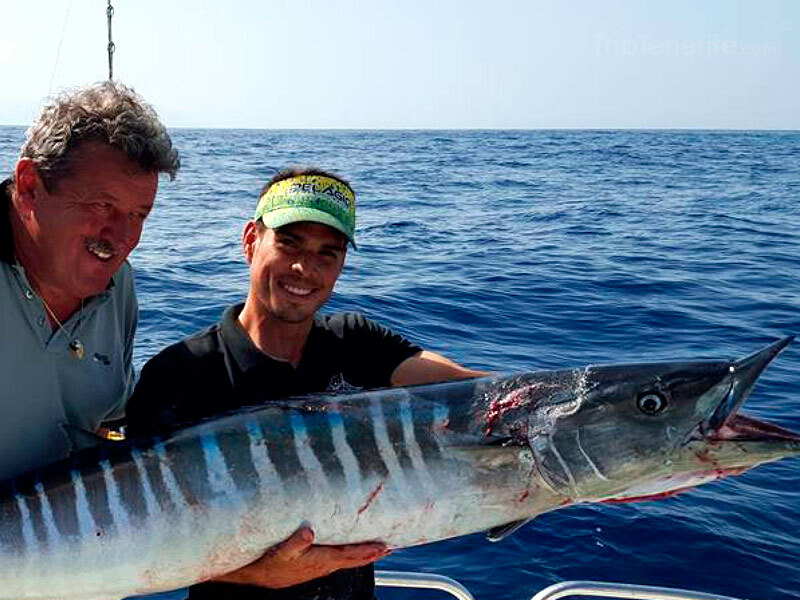 On top of that, you can rely on the instructors to teach you how to cast the fishing rod and help you at any moment, being as enthusiastic as you. 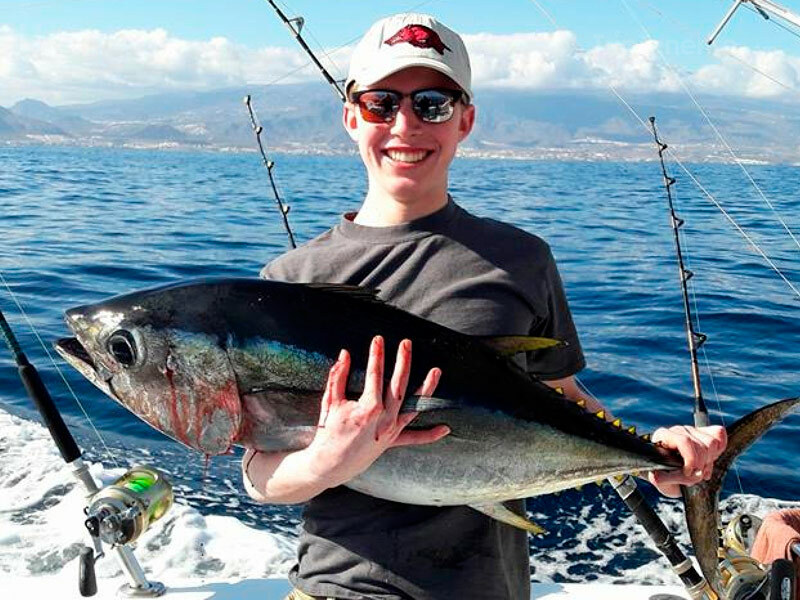 Sailing a boat on the open seas and observe variety of fishes, from smaller ones – frigate tunas, herrings… – to bigger ones – bonitos or mackerels of several pounds that will give you a hard time bringing back to the boat, is a memorable experience. 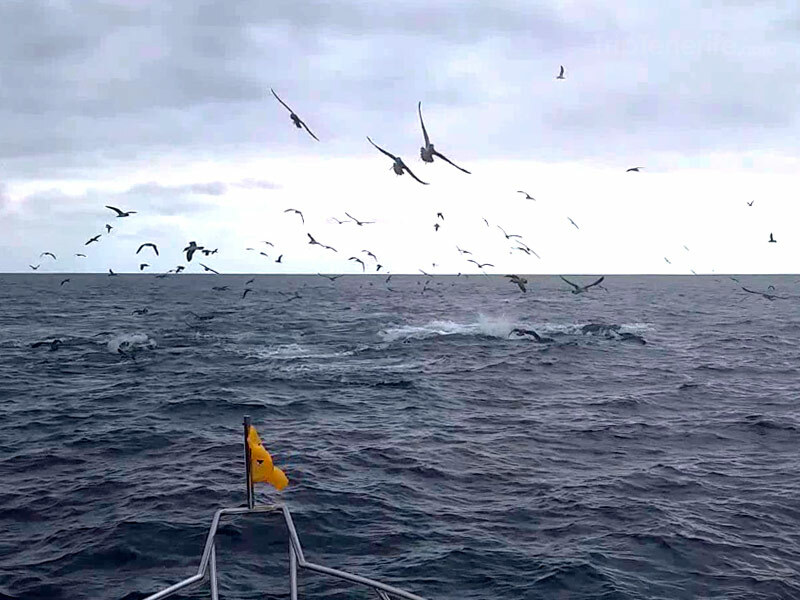 Actually, enjoying a sea fishing trip with people who share your passion and interest for the sea and its marine life is a great adventure. 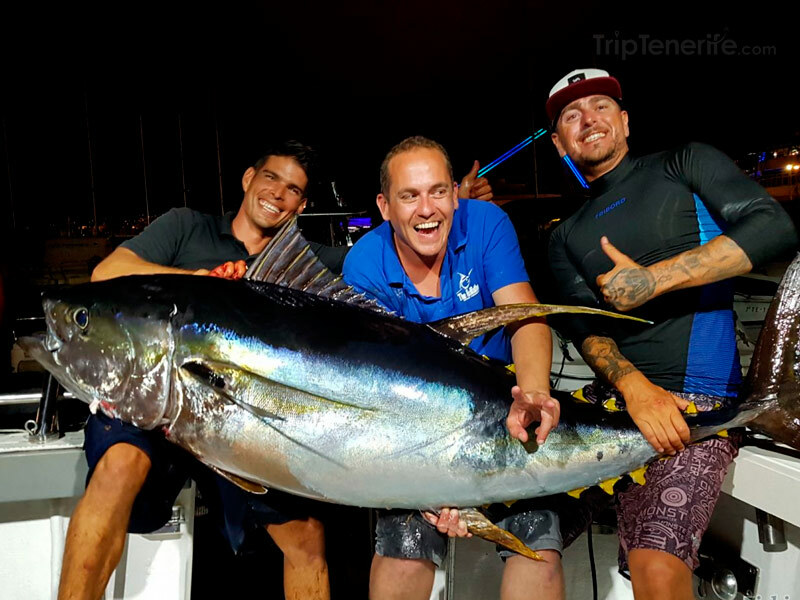 In short, this is a highly-recommendable adventure you will certainly repeat all over again, to relive not only this great fishing experience, but also the warm welcome given by the instructors. 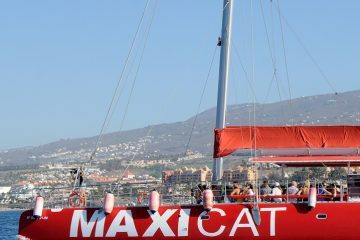 DEPARTURE TIME Be ready 1 hour before the schedule.